Thinlites carry a two year factory warranty. The links on the left will take you to each ballast on this page. All of the inverter / ballasts on this page are for 12 volt d.c. and are Made in the U.S.A.
and ready to ship from our inventory. We will also show you our current inventory for each model which is updated DAILY. Many different Thin-lite models use the same ballast. if your light uses one of our instock ballasts. Many of our customers use the model OIB - 153 to make fishing or floundering lights. Thinlite also makes "P" ballasts which are radio frequency suppressed. The "P" ballasts are special order items. groups to allow the use of drop-down menus for easy on-line ordering. A d.c. fluorescent ballast is actually two devices in one. The technical name is an inverter - ballast. then run a fluorescent tube or tubes. Shows the tube socket and switch which are included on this model only. The 109 operates a single 22 watt (FC8T9/CW) circular tube. Just call us at (562) 423-4879 for pricing and availability. The 112 operates two 8 watt (F8T5) fluorescent tubes. For surface mount light fixture. Currently we have 8 in stock. will be USPS Priority Mail. It operates two 14 watt fluorescent tubes. does not have a cover - you will need to use the one that came with the light. This ballast model is limited to stock on hand. The 115 operates one 15 watt (F15T8) fluorescent tube. The 116 operates two 15 watt (F15T8) fluorescent tubes. Currently we have 7 in stock. The 126 operates two 13 watt (F13T5) fluorescent tubes. The 153 operates a single 32 watt (F32T8) fluorescent tube. The 162 operates two 8 watt (F8T5) fluorescent tubes. These are used in Thin-Lites model 162 outdoor light fixtures. This ballast is pre-wired with a push button switch. The 197 operates a single 30 watt (F30T8) fluorescent tubes. For both surface and vehicle manufacturer recessed fixtures. in a recessed light fixture. Currently we have None in stock. Please click on image for a larger picture. completely eliminate interference produced by the ballast. How to tell if your light uses an RFI, "P", ballast. First off, if there is a "P" in the front of the model number. the end with a rivet through it. with a small aluminum "Z" bracket. Radio Frequency Interferrence suppressed ("P") ballast. it into alternating current - a.c.
around 90-100 volts a.c. to run the light. some applications can interfere with nearby electronic equipment. Very few vehicle manufacturers specify "P" fixtures. have very few requests for this ballast type. want to be able to pay the bills that is." As a side note, all 24 volt Thin-Lite ballasts are "P" type. We no longer stock these ballasts but can special order one for you. Please call us at (562) 423-4879 for pricing and lead time. tube from 13 to 39 watts. Also available in a 24 volt d.c. version. We no longer stock this ballast but can special order one for you. amount of your order and only offers ground shipping. 2) We accept telephone and fax orders and accept Mastercard and Visa. This list will show the proper replacement ballast for your light. two ballasts to run two tubes. This guide is courtesy of the Thin-Lite Corp.
109 OIB-109 Operates one 22 watt Circline (circular) tube. 111 OIB-111 Operates a single F8T5 (8 watt) tube in a surface mount fixture. 112 OIB-112 Operates two F8T5 (8 watt) tubes - surface mount fixture. 115 OIB-115 Operates one F15T8 (15 watt) tube - surface mount fixture. 116 OIB-116 Operates two F15T8 (15 watt) tubes - surface mount fixture. 125 OIB-125 Operates one F13T5 (13 watt) tube - surface mount fixture. 126 OIB-126 Operates two F13T5 (13 watt) tubes - surface mount fixture. 128 OIB-128 Thin-Lite no longer makes this 128 ballast. 130 OIB-112 Operates two F8T5 (8 watt) tubes - surface mount fixture. 133 OIB-153 Operates one F32T8 (32 watt) tube - surface or recessed fixture. 134 OIB-116 Operates two F15T8 (15 watt) tubes - surface mount fixture. 139-2 (2) OIB-153 Two required - each operates a single F32T8 (32 watt) tube. 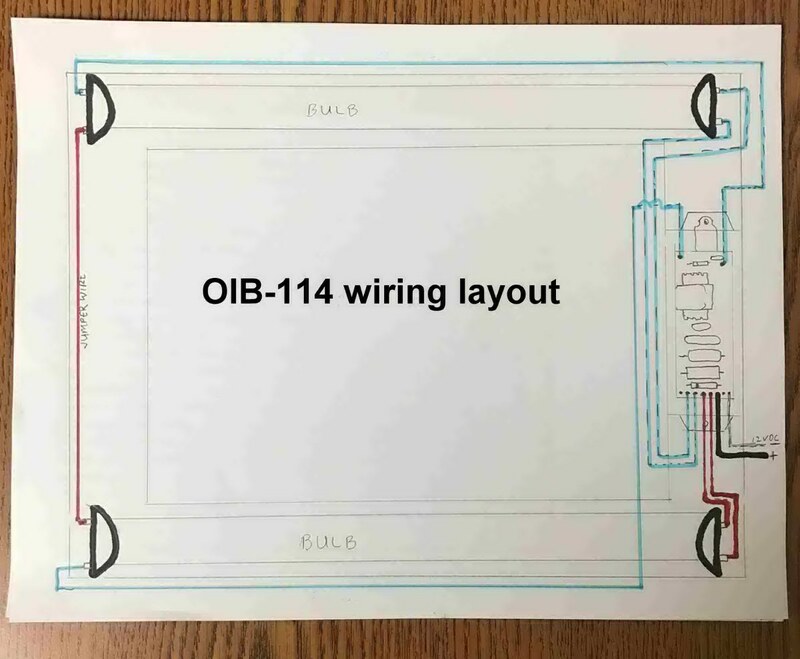 143 OIB-143 Operates a single F15T8 (15 watt) tube in an open surface mount fixture. 145 OIB-145 Operates a single F17T8 (17 watt) tube in an open surface mount fixture. 148 OIB-115 Operates a single F15T* (15 watt) tube. 153 OIB-153 Operates s single F32T8 (32 watt) tube in an open surface mount fixture. 161 OIB-161 Operates a single F8T5 (8 watt) tube in an outdoor fixture - includes switch. 162 OIB-162 Operates two F8T5 (8 watt) tubes in an outdoor fixture - includes switch. 163 OIB-163 Operates a single F15T8 (15 watt) tube in an outdoor fixture - includes switch. 167 OIB-167 Operates a single F30T8 (30 watt) tube in an outdoor fixture - includes switch. 171 OIB-171 Operates a single F8T5 (8 watt) tube in an under-cabinet fixture. 183 OIB-153 Operates s single F32T8 (32 watt) tube in an surface mount fixture. 195 OIB-195 Operates a single 17 watt tube in a surface mount fixture. the vehicle manufacturer supplied a drop in place cover or lens.